Compost tea is a tea made from steeping (or brewing) compost instead of tea leaves. It isn’t appetizing for you but your plants will love it! The nutrients and beneficial microbes in the compost diffuse into the water making liquid fertilizer for your plants. There are two ways to make compost tea with worm castings: the basic method (simple steeping) or the aerated, brewed version. This article will teach you a compost tea recipe and instructions for both compost tea brewing methods. Vermicompost tea is simply compost tea with worm castings. It is brewed using vermicompost (also called worm castings or worm poop) as your compost instead of compost from a hot compost pile. 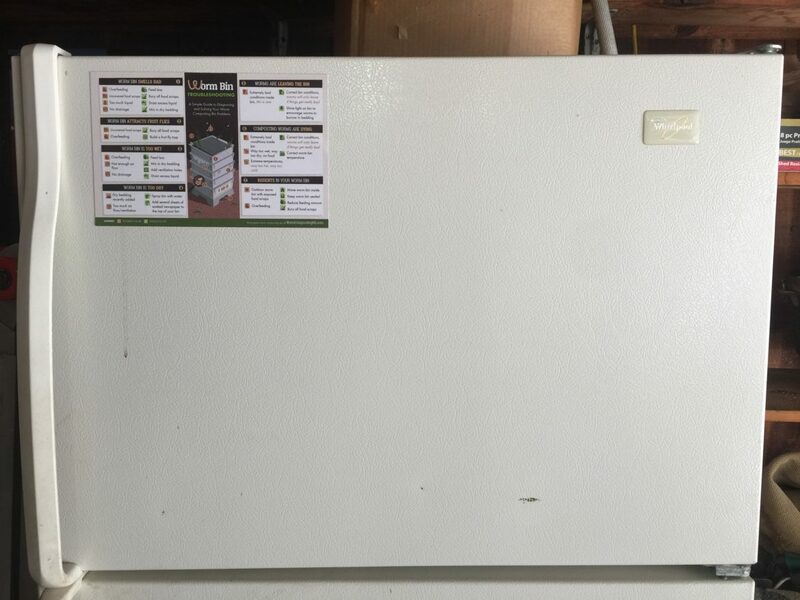 Using your vermicompost or vermicast to make worm compost tea is a great use of your nutrient rich worm castings. Not yet worm composting at home? Learn to start here or buy composting worms here. To make a batch of basic compost tea with worm castings, all you really need to do is soak some vermicompost overnight in water. I prefer to use something as a makeshift tea bag because it makes it less messy but it is not necessary. Here is the basic worm compost tea recipe that I use. Fill your homemade tea bag with worm compost and tie off the open end of the tea bag somehow. Submerge the worm compost tea bag in a bucket of water. I use a 5 gallon bucket but any size bucket will work. Let it sit overnight. In the morning the water should be light brown. Because the beneficial microbes in the worm compost tea will start to die off, water your garden first thing in the morning for best results. Remove the worm compost tea bag from the bucket, cut it open and add the worm compost either to your garden, your worm compost bin, or your hot compost pile. Put roughly 4 to 6 cups of finished worm castings (without a tea bag) into a 5 gallon bucket. I never measure, just throw in a few handfuls of vermicompost. Add 4 gallons of water (rain or well water is best because it is not chlorinated but city water will work). Add 1 ounce of unsulfured molasses to provide a food source for the beneficial microorganisms living in the worm poop. You can use almost any sugar source here. NOTE: Adding a sugar source will increase beneficial microorganisms but it will also increase any harmful pathogenic microbes as well. If you suspect your worm compost contains harmful microbes, do not add molasses. Stick the bubbler (airstone) end of an aquarium aerator down to the bottom of the bucket and turn it on. Let it brew for about 3 days, stirring occasionally. You may want to strain the worm compost tea before using. For best results, use the brewed worm tea immediately. Tip for even better results: Follow the worm compost tea recipe above, but add 2 cups of alfalfa pellets (rabbit food), for some extra Nitrogen in the worm tea brew. Cover a whole plant with worm compost tea including the leaves. Many people believe that the beneficial microbes in worm tea help protect plants from diseases. A sprayer or spray bottle works well. Be sure to strain the worm compost tea before adding it to the spray bottle. Serve worm compost tea at your next tea party. NOTE: one of these is a joke. 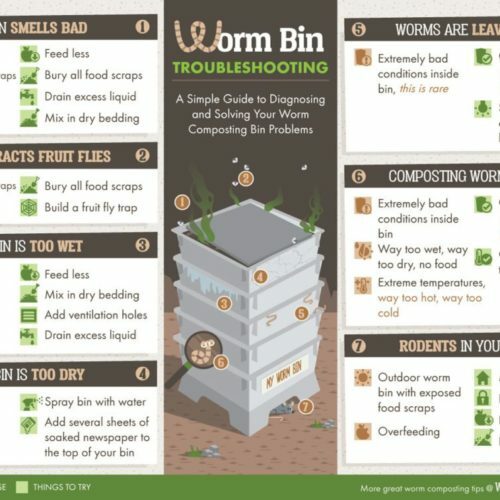 Ready to Start Worm Composting? 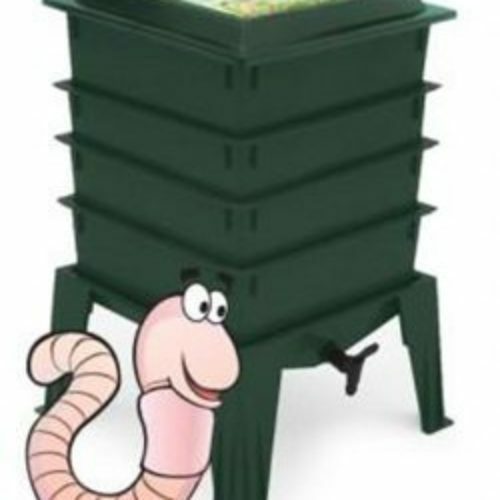 Ready to Buy Composting Worms?